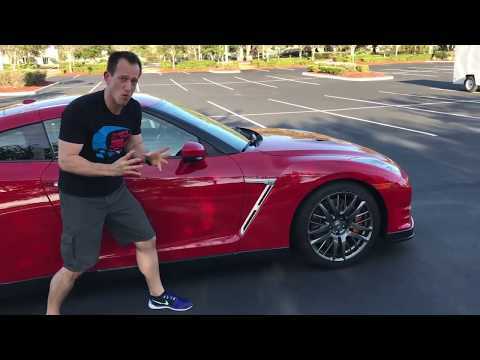 The 2016 Nissan GT-R is a giant-slayer. For about $103,000, it handily whomps the performance of cars costing more than two, three or four times as much. Although it's starting to show its age, any lack of refinement compared to its Euro rivals is a small price to pay, although the Corvette Z06 is just as fast and costs less. The car is very fun to drive. It is very fast, it is also very reliable, also has 550 hp and its looks really good. The car also has a nice interior and has nice wheels. Nissan North America, Inc. (Nissan) is recalling certain model year 2015-2016 GT-R vehicles manufactured February 24, 2014, to June 16, 2015 to be sold in Puerto Rico. The affected vehicles have a Certification Label that is missing the Gross Vehicle Weight Rating (GVWR) and Gross Axle Weight Rating (GAWR) information. As such, these vehicles fail to comply with the requirements of 49 CFR Part 567, "Certification." Due to the label missing the GVWR/GAWR information, the operator may overload the vehicle, increasing the risk of a crash. Nissan will notify owners, and dealers will apply a corrected label, free of charge. The recall began on December 23, 2015. Owners may contact Nissan customer service at 1-800-647-7261.